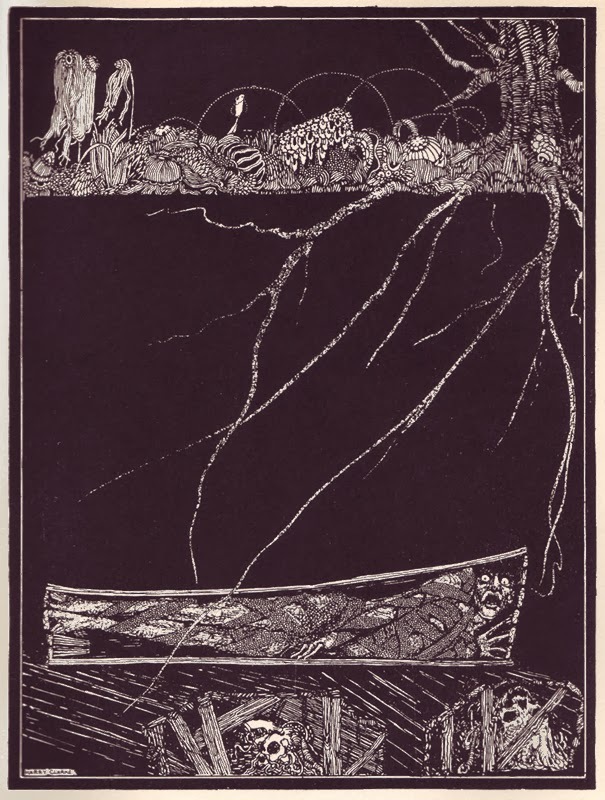 In pulling together today's images from illustrator Harry Clarke, I thought to myself, "Damn! 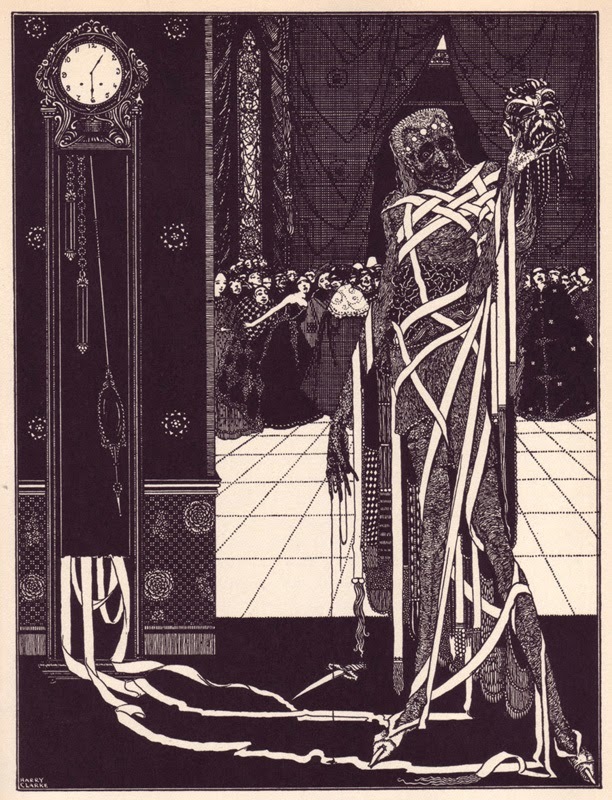 I never realized how much Russ Nicholson's work reminded me of Harry Clarke's." And well it ought to. 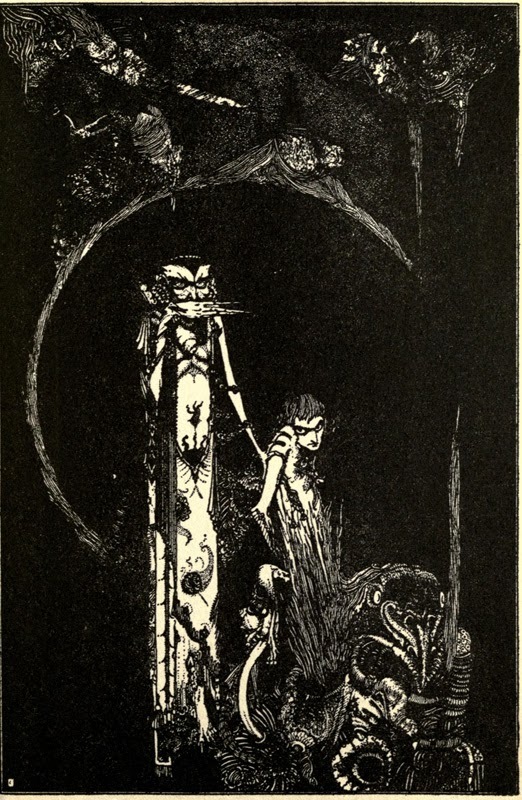 Nicholson remarked in a 2009 interview at Sci-Fi-O-Rama, "...my gods were such as Aubrey Beardsley, Harry Clarke, Edmund Dulac and Sydney Sime." Yup. I can TOTALLY see that. I think that's one of the reason I dig Nicholson's work so much. 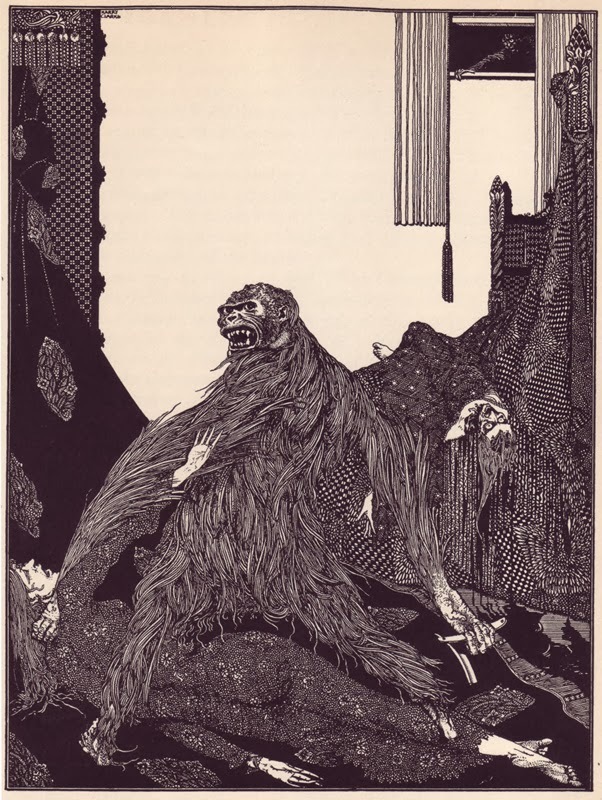 I've featured Dulac here before, though the pieces I showcased were limited. 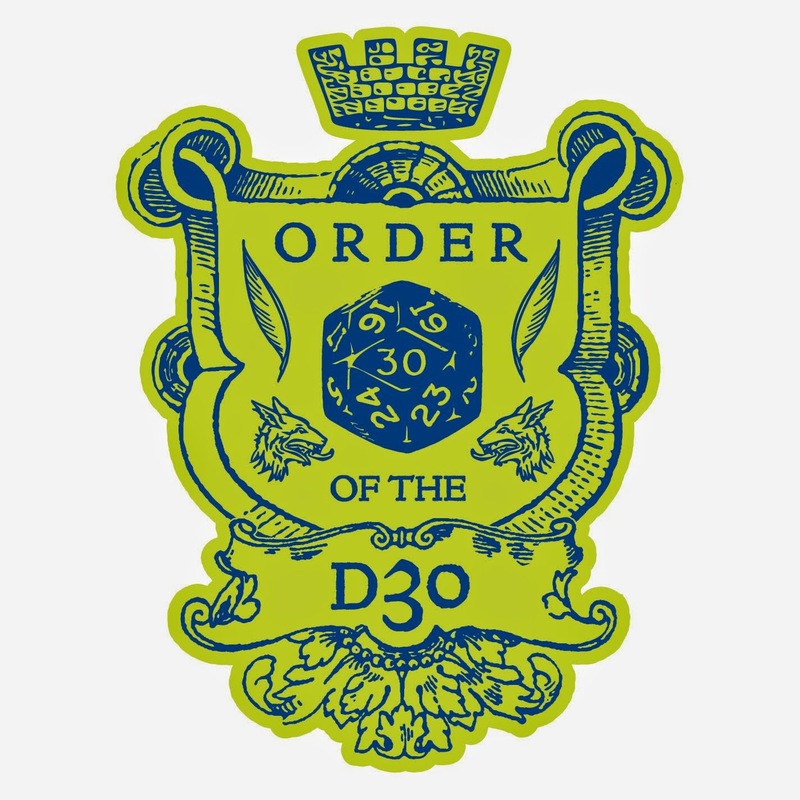 I've never showcased Beardsley here, though I've mentioned his name several times, and his Merlin illustration graces the title page of the d30 DM Companion. 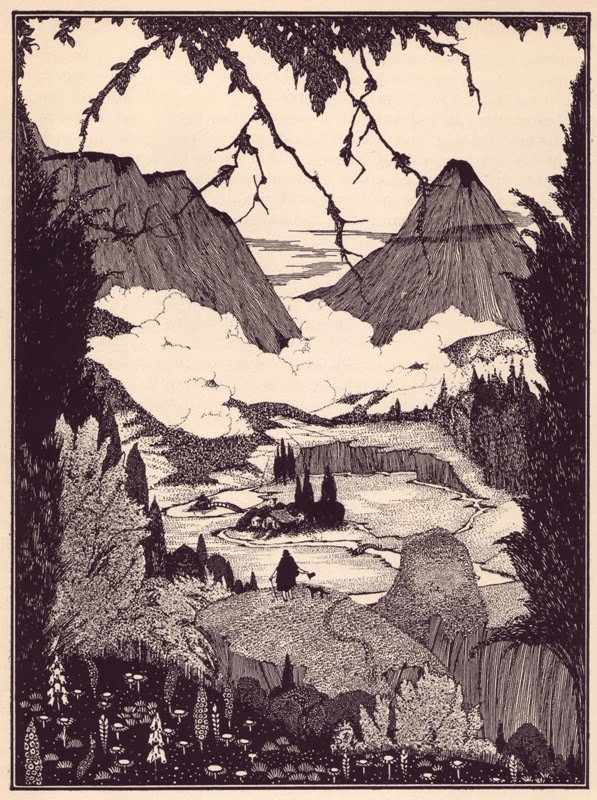 Syndey Sime is someone I've been considering showcasing here, particularly his work for The Gods Of Pegana by Lord Dunsany's, with whom Sime had a long-standing partnership. But I digress. Like a lot of the illustrators I've mentioned here before are from the "golden age of illustration" (approximately 1880-1920), Clarke was influenced by Art Nouveau. His father was a craftsman, and at that time, his profession was experiencing a rebirth with the Arts & Crafts movement (a reaction to the "cheap and nasty" mass produced goods of the Industrial Revolution), leading into Art Nouveau. 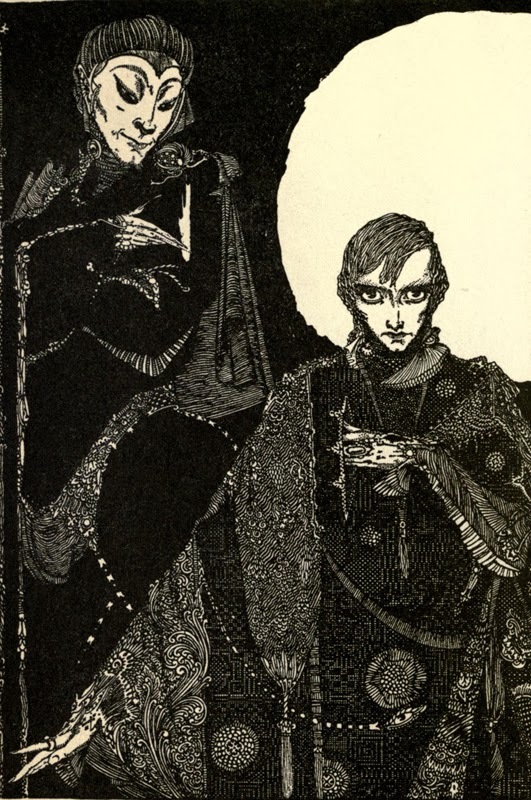 That actually puts Harry Clarke a slight generation behind Aubrey Beardsley; Beardsley's influence on Clarke is obvious; but then, Beardsley was one of those guys that influenced a generation of folks. But again, I digress. 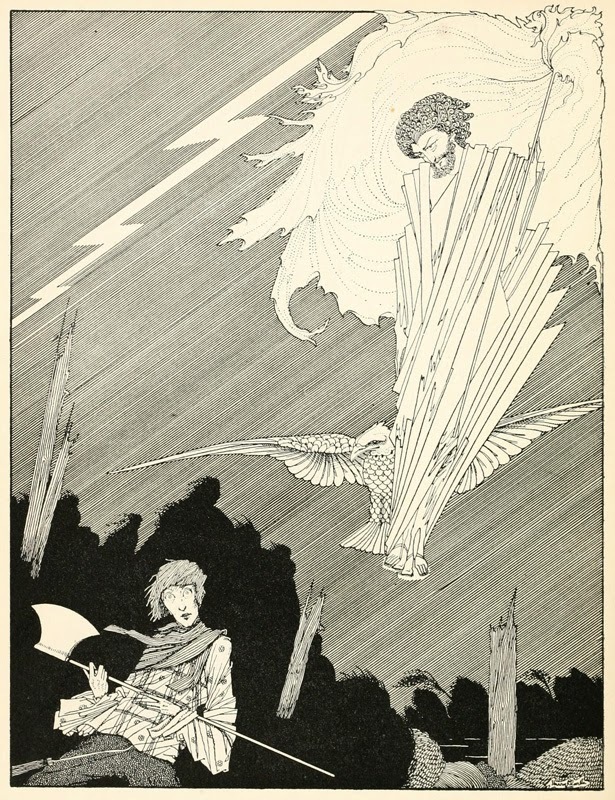 These first four are taken from the 1923 edition of Poe's Tales of Mystery and Imagination. and the one on the right is from Years at the Spring. 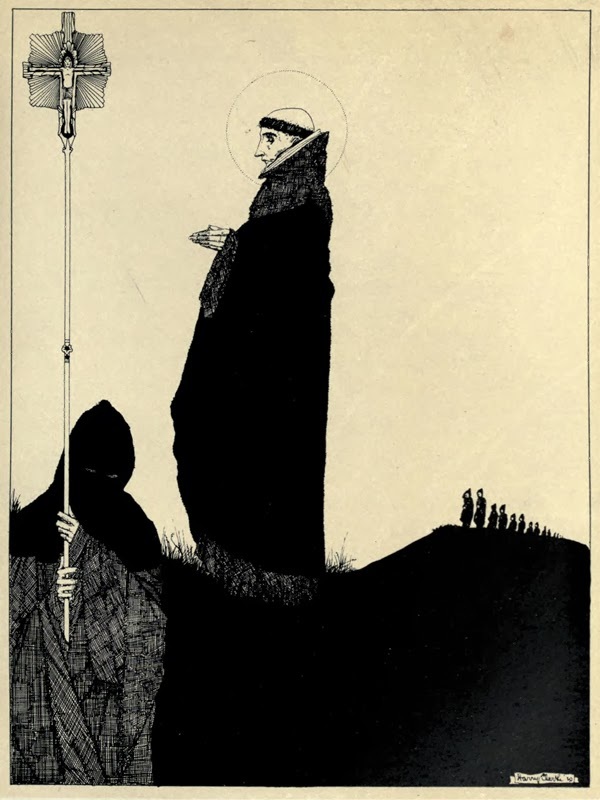 These final two are taken from an edition of Goethe's Faust. 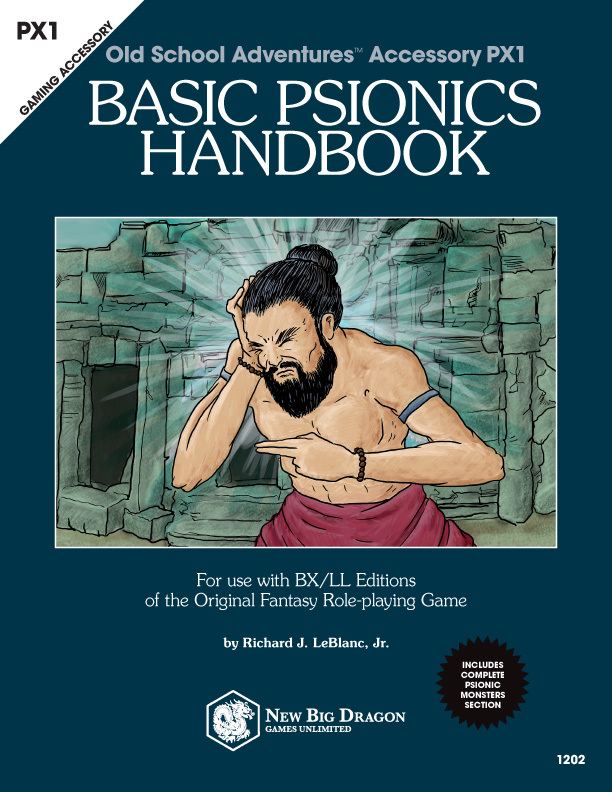 but mostly because I love his work, go check out Russ Nicholson's blog. great stuff. he's going on my list right alongside Aubrey Beardsley.